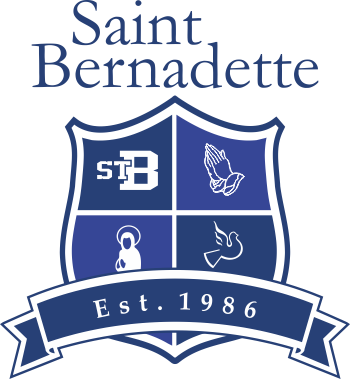 I am very excited to be your new principal here at St. Bernadette’s. I hope to have the priviledge over the course of the next few weeks to meet all the parents in the school. This year’s theme for Catholic schools in our Archdioceses is “Live the Joy of the Gospel”. A beautiful message inspired by Pope Francis. As a school community we are going to focus on living the joy of the Gospel in all that we do. The students will be challenged to understand the true essence of JOY – Jesus first, Others second, and Yourself last. I would like to thank the community for welcoming me with a warm embrace. I look forward to a year full of promise and opportunity. May God bless you as we embark on a new year together.